Gap Engineering celebrates HMSDC’s 47th year of dedication to small business growth and minority entrepreneurs in the Houston area. From leadership training to marketing strategy, HMSDC inspires minority business owners and teaches them how to go beyond what seemed possible. As a successful minority owned and operated business, Gap Engineering is a shining example of what can happen when you bring together the best talent from multiple specialties and backgrounds. 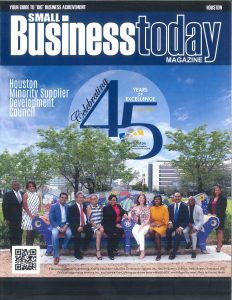 Gap Engineering is a proud member of the Houston Minority Supplier Development Council and was a recipient of their 2017 “Best of the Best!” Emerging 10 Award. 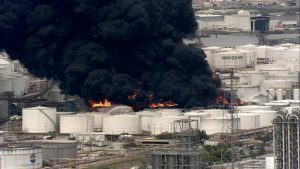 Just yesterday, a second chemical plant erupted in flames in Texas. The explosion at the KMCO plant in Crosby, Texas has caused at least one death. Much of the attention has been on the authorities’ lack of safety inspections, but the need for preventative control systems is equally significant. The grave importance of safety precautions is at the forefront of this catastrophe. 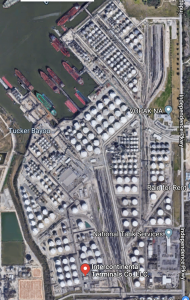 An ITC petrochemical storage plant in Deer Park has been fighting to contain fires and environmental contamination for over a week after huge fires destroyed tanks, causing toxic benzene leakage into the surrounding air and water. In the wake of these fires, many companies are opting for safety warning and shut down programming to combat and contain problems before they cause disastrous effects. We encourage industrious companies to evaluate their systems and make upgrades and adjustments wherever and whenever possible. Shown above is the International Terminal Co. petrochemical plant in Deer Park, Texas. Gap Engineering works with companies to create safer systems for their employees and the surrounding communities. Automation is key to sensing the beginning of a problem and make corrections before it becomes a big problem. From safety warnings that alert to slight changes in data to emergency shut off systems that prevent disaster without human intervention, safety can now be automated to save lives and lessen environmental impact. Upgrading control and safety systems is so important for keeping a facility running smoothly. At Gap Engineering, we work with clients to find the most efficient ways to keep them safe. For details on some of our projects that incorporated safety upgrades, see our work on the Hess Tioga Gas Plant Expansion in Tioga, ND and Motiva Refining in Norco, LA at gap-eng.com. 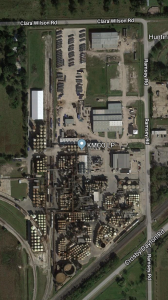 The ITC plant (left) and the KMCO (right) chemical plants near Houston, Texas.